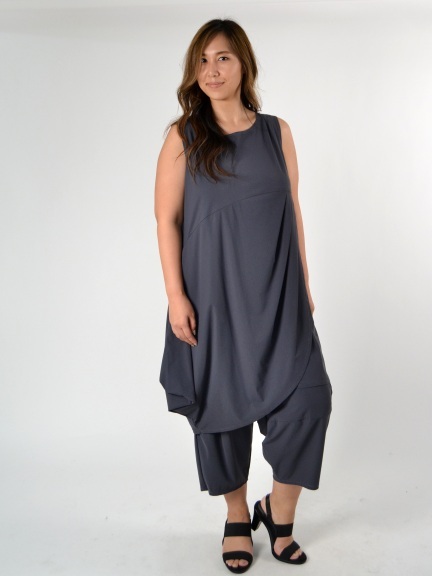 A loose and relaxed tunic has a low empire seam, crossover from with tucks, angled hems, inset draped panels add movement and architecture. Made of a sporty tech knit in California. Please note, length is measured down center-back at shortest point.